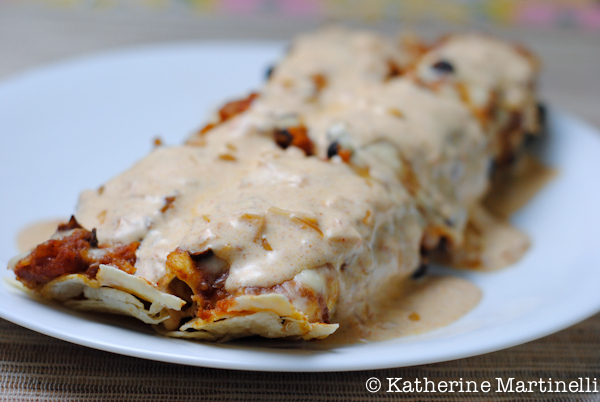 And ooey-gooey turkey enchiladas are always a crowd-pleaser! 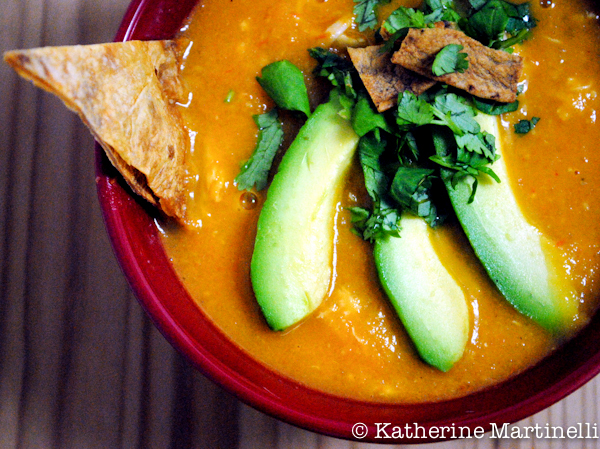 I love the look of your tortilla soup, and Turkey enchilladas…. how mouth watering! I love your round-ups, Katherine, and all your recipes look yummy! I added my version of a guac and will also have a dessert and cocktail soon. Thanks for hosting these! I wish I had a Mexican recipe I could just pull out of my sleeve, but I’ll just have to drool over all that’s been posted here so far. I LOVE Mexican food! Hopefully some of the links in the blog hop will inspire you to get cooking Sofie 🙂 I also just love Mexican food! Yay! Tofu tacos. Thanks for triggering my memory—I’ve been meaning to try these! No problem! I totally need to make those again soon – they’re so good! Thanks for hosting! All of your recipes looks SO delicious! Thanks for the awesome round up! Ahhh… memories of my honeymoon in Cancun! But seriously, doesn’t guacamole just make everything better? Great round-up! Aw so sweet! Seriously, guacamole makes everything better. Everything. Thanks! And so many great recipes linked up. The tortilla soup is one of my favorites! Katherine that Tortilla Soups looks awesome!! Great idea for this week’s round-up! Thanks Alyssa, and thanks for linking up! All of this food is looking SO good! I’m sharing 3 recipes today. If you can’t tell, we kinda like Mexican food around here. Thanks for hosting! I love everything in this post Katherine! YUM! 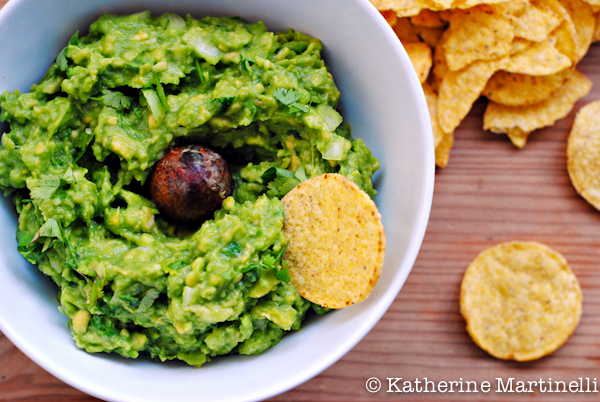 I’d try your simple guacamole this weekend for snack! SO many great ideas! I haven’t even begun to think about Cinco de Mayo yet! Major soft spot for Cinco de Mayo and Puebla. I did my study abroad there :). I added the Baked Chimis and Skinny Fajitas. All your recipes look so beautiful! Oh, how I look forward to browsing all the blogs and getting inspired by the dishes! I have been thoroughly smitten by Mexican food since we moved to southern California three years ago and I went to Yucatan in 2010! Your guacamole looks just perfect…I love that it’s not pureed super smooth. Beautifully done, my friend! Thanks Liz! I always like a little texture. Love all the great Cinco de Mayo recipes. I’ve been looking for a fun idea. I’m so glad you enjoyed all the recipes! Thanks for the inspiration, Katherine. I have a Bison flat iron steak taco recipe that I’ve been putting off. Cinco de Mayo it is! My pleasure Julie! Thanks so much for linking up – and bison steak tacos sound amazing!! Stunning! Those vegan taco’s look incredible, but then everything else! Yummy photos!!! Katherine everything looks amazing! Love Cinco De Mayo… or any excuse to serve Mexican food and margaritas! omygoodness i was drooling by the end of this post! All of your dishes are absolutely gorgeous! It’s rainy and cold today in Chicago, that chicken tortilla soup sounds so perfect! I love Cinco de Mayo! And I love Mexican & Tex-Mex. I remember your tofu taco – great idea. Love the look of the tortilla soup, too. So many flavors, so many recipes – I can’t keep up! Fun post – thanks. 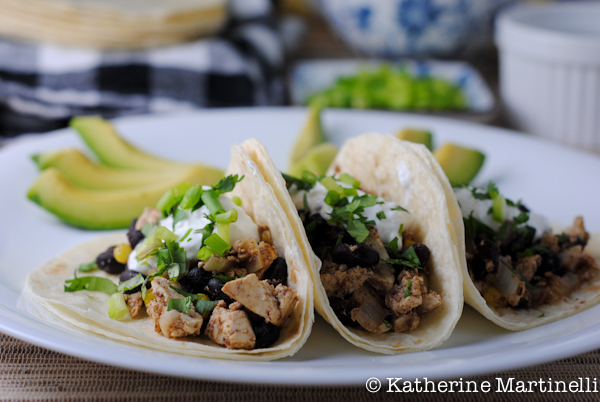 Katherine, you have an amazing Cinco de Mayo selection! I love the look of your chunky guacamole. What a terrific round up of recipes, too – thank you for hosting! What a wonderful selection of Cinco de Mayo recipes! I have a party to go to on Saturday and still haven’t decided on a recipe, and now I’ll have plenty of options to choose from! I’m so glad you’re getting some great inspiration from the blog hop. Can’t wait to hear what you end up making! Thanks Terra!! Me too – such a weakness!